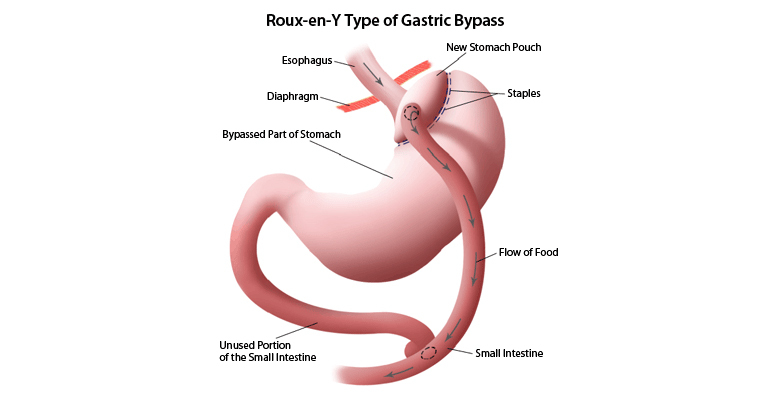 Roux-en-y is a both Malabsorptive and restrictive Bariatric procedure. This procedure involves stapling the stomach to create a small pouch that holds less food and then shapping a position of small intestine into a Y. The Y portion of intestine is then connected to stomach part. What will be the weight loss following Gastric Bypass? Gastric bypass allow us to lose 80% of excess body weight in 6 months. It is 100% effective in recovering disease like Sleep Apnea , Diabetes , Hypertension . What is the deficiency assaulted malt Gastric Bypass? Gastric bypass procedure cause more serious symptoms. There is increased risk of Anemia, calcium and vitamin B12, deficiency leading to metabolic bone disease and osteoporosis. What are the physical activity recommendation following bariatric surgery? Exercise – 3 months later.